Akademie Weser beat England Under-17s 57-42 After a mauling to Cornella to open the tournament yesterday, England Under-17s put in a much better performance against Akademie Weser but suffered a 15 point loss. 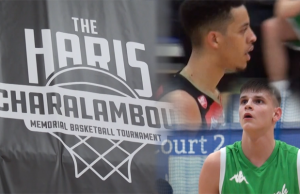 Myles Laurent-Smart, Liam Carpenter and Riccardo Guddemi led England with 9 points each, whilst Constantin Kalmund had 20 points on 9/13 shooting to lead the Germans. 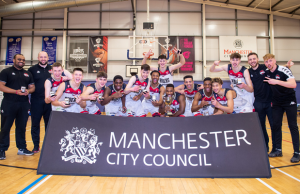 Cornella beat Manchester U16s 116-41 Cornella started the day with the biggest margin of victory in the tournament so far, beating the host under-16 side by 75 points. Cornella had 7 players in double figures, led by Ferran Ventura, a member of Spain’s Under-17 World Championship side that finished fourth this summer (thanks to @robscott33 for the tip off), who finished with 22 points on 10/14 shooting. Daniel Walters had 13 points on 5/8 shooting to lead Manchester. 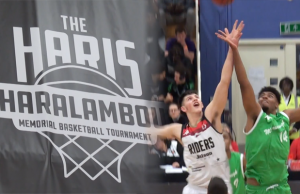 ← Previous Story Haris Tournament Day 1 Highlights! Next Story → Jan Niklas Wimberg Catches The Nice Lob at Haris!